Flora, an elderly widow, was about to lose her home of more than 50 years to a predatory lender. In need of money to pay her son’s funeral expenses, she had been convinced by a mortgage broker to tap some of the equity in her home by refinancing with a hard-money lender. The loan terms truly shocked the conscience: Flora’s existing fixed-rate traditional loan had been replaced with a variable-rate interest-only mortgage. The lender and broker paid themselves more than $34,000 in points and fees. Flora, by contrast, received some $23,000 in cash proceeds, while her monthly loan payment jumped from $675 to over $2,200. Flora, a retired nurse who lived on a fixed income, was unable to make the new mortgage payment and quickly faced foreclosure(1). Through her daughter, Flora sought assistance from HERA (Housing and Economic Rights Advocates), which in turn contacted the Alameda County Bar Association Volunteer Legal Services Corporation (VLSC). I had earlier signed up with VLSC to take referrals, and VLSC asked if I would be interested in taking the case. My firm generously allowed me to accept the representation pro bono. The scheduled trustee’s sale was only a week away. We quickly obtained a TRO, and then a preliminary injunction barring the sale. Ultimately, Judge Tigar granted our motion for summary adjudication, finding that the loan violated California’s Anti-Predatory Lending Law. We wound up settling the case on terms which allowed Flora to keep her home debt-free and also included a substantial cash payment. This is one of my favorite war stories from nearly 20 years of litigating civil disputes. In private practice, the line between right and wrong, justice and injustice, is rarely so clearly drawn. And this is what VLSC offers its volunteers: the opportunity to serve the public interest and do justice, while at the same time gaining invaluable litigation experience. VLSC provides pro-per assistance in divorce, child custody, visitation and support, paternity, spousal support, guardianship, debt collection defense, bankruptcy, immigration and low-income landlord eviction matters. Clinics are led by experienced attorneys and are often co-sponsored by local legal service providers or the courts. In these clinics volunteer attorneys help clients understand the legal process and complete the applicable forms to be filed in court. VLSC provides pro bono legal services, ranging from advice and counsel to full-scale representation of individual clients in many areas of law, including adoption, debt collection defense, family law, guardianship, immigration, landlord/tenant, non-profit corporations, power of attorney and wills. 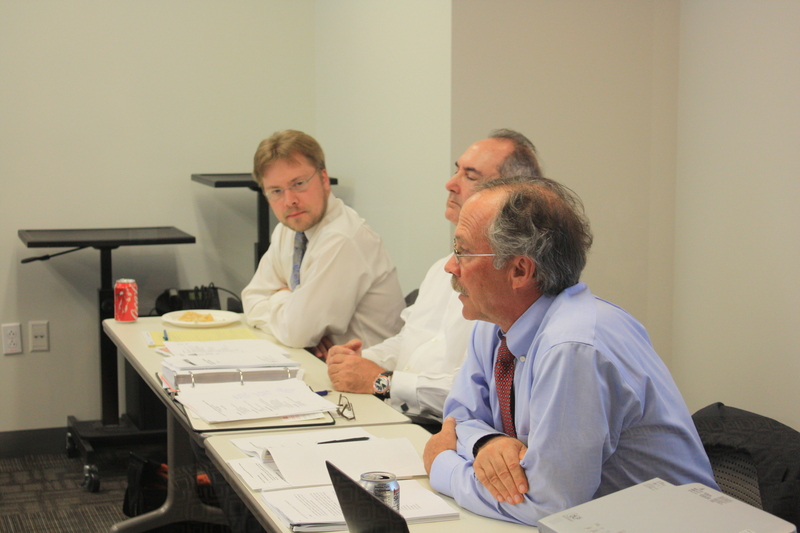 VLSC’s Mentor Program matches experienced lawyers with recent admittees or attorneys who are learning a new practice area. The program is case-driven – a mentee agrees to take on a particular matter pro bono, and the mentor agrees to serve as a resource through the life of the case. The program allows the mentee to take pro bono referrals he or she might otherwise feel insufficiently experienced to handle. At the same time, it gives the mentor the opportunity for meaningful pro bono participation without having to take on all the responsibilities that attend formal representation in a legal proceeding. To further ease the mentor’s burden, VLSC provides not only conflicts information, but case-specific malpractice coverage as well. My experience with the Mentor Program has been enjoyable and fulfilling. I specialize in real estate litigation and was matched with a recent admittee who had agreed to represent a landlord pro bono in an unlawful detainer action2. The case was extremely challenging, and I had the opportunity to provide meaningful input on strategy and tactics at virtually every stage of the proceeding – from noticing the tenant’s default all the way through post-judgment proceedings. Along the way, I was reminded that much of what we do as litigators is not taught in law school nor written in practice guides. For example: What do you do when you’ve obtained a favorable ruling from the bench in open court, but your proposed order has gotten lost in the system, and repeated efforts to follow up with the clerk have been for naught? My suggestion: Go in ex parte and present your order to the judge in person. Result: Order signed. This is but one example of the types of solutions we learn only through mentoring or hands-on experience. Through VLSC’s Mentor Program, I was able to pass along some of the knowledge I’ve learned over the years. Meanwhile, my mentee was able to successfully prosecute the unlawful detainer to conclusion, gaining valuable experience every step of the way. And the victimized landlord ultimately got his rental unit back. All pro bono publico (“for the public good”). VLSC currently places approximately 60 cases per year through its referral panel and Mentor Program. VLSC would welcome additional participation by mentors and mentees to increase the numbers of cases placed. The practice areas most in demand include unlawful detainer, debt collection defense and domestic violence restraining orders, with frequent opportunities as well in bankruptcy, family law, and trusts and estates. For more information – or even better – to find out how you can volunteer with VLSC, contact Elizabeth Hom at elizabeth@acbanet.org. About the author: Carl Ciochon is a partner at Wendel Rosen Black & Dean LLP and co-chair of its Real Estate Litigation Group. He represents plaintiffs and defendants in real estate related matters and other complex commercial disputes. This article was originally published in the Fall 2014 Edition of the ACBA Trial Practice Section Newsletter. 1These facts are all public record in James v. Instant Mortgage Lending Corp. et al., Alameda County Superior Court No. RG08398130. 2ACBA VLSC handles unlawful detainer cases solely on the landlord side; potential clients are screened based on economic need and merits of the case. In this case, the tenant was terrorizing the neighbors, literally destroying the property and refusing the landlord access to make repairs mandated by the City of Oakland.